× 8 = fifty six Required Please enter the correct value. The “E’s” have it…Energy and Earnings, that is. Both topics dominated the news this week and, unfortunately, pessimism returned to the marketplace. Let’s look at the first “E” – Energy. While many analysts had predicted oil to fall as the summer driving and hurricane seasons came to a close, traders instead kept pushing prices higher (and higher and higher). The latest culprit: An untimely skirmish between Turkey and the Kurds. Last month, the Organization of Petroleum Exporting Countries (OPEC) agreed to boost production (though ever so slightly) and this week’s inventory levels revealed higher crude supplies than had been expected (both good signs). 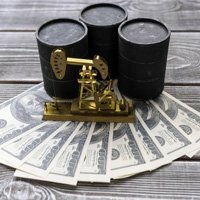 Still, investors (or, rather, speculators) last week focused on the geopolitical turmoil and crude prices soared to record levels of more than $90 per barrel. [Note: On an inflation-adjusted basis, oil would need to climb to around $100 a barrel to equal the $38 per barrel high set in 1980]. Some “experts” claim that the current levels of supply and demand do not justify the skyrocketing prices and feel that sheer speculation is responsible for much of the recent activity. What’s more, the weak dollar prompted some hedging activity as investors moved into commodities. While the domestic inflation picture seems relatively benign at this point, the Fed will definitely be keeping a closer eye on rising energy prices as future policy decisions are made. And now for the other “E” – Earnings. Earnings season ahead last week with less than stellar results. Through Thursday, about 60 S&P 500 companies had reported and much of the investor attention had been on financials. Of the nation’s top four banks, only JPMorgan Chase & Co. (JPM) (+2%) posted positive earnings growth as the subprime fiasco and subsequent credit crunch took its toll last quarter. Citigroup Inc. (C) (-57%), Bank of America Corp. (BAC) (-32%), and Wachovia Corp. (WB) (-10%) each reported a drop in profits amid mortgage-related losses and continued loan write-downs. [Citi announced plans to lead a consortium of major banks to create a fund to buy debt and help support the commercial paper market in a bailout “suggested” by the Treasury Department]. In other financial earnings news, Wells Fargo & Co. (WFC), KeyCorp (KEY), Washington Mutual Inc. (WM), and E-Trade were among the other related companies that struggled during the past three months. Not all earnings news was completely negative last quarter as the techs revealed some favorable showings. Intel Corp. (INTC) (+43%) and Google Inc. (GOOG) (+46%) brought renewed confidence to the sector and Yahoo Inc.’s (YHOO) better than expected report offered more reason for optimism. The equity markets tumbled throughout the week as the one-two punch of “energy and earnings” sent investors running for cover (that it, for the safe-haven of treasuries). Stocks moved lower each day as, one by one, financial companies (except one) reported dismal results (thanks JPMorgan). The major indexes all plummeted and even the tech-lade Nasdaq Composite Index overlooked the positive news from certain technology companies and fell along with the other two key indices. Bond investors reaped the rewards of the equity woes as the yield on the 10-year treasury fell over 25 basis points to around 4.40% during the week. On a positive note, as bad as the week went for stock investors, the old-timers of the bunch can find some solace in that fact that times have been far worse. Exactly 20 years ago Friday (October 19, 1987), the Dow Jones Industrial Average plunged 23% on Black Monday as investors were busy freaking out about a third “E” – an Economy that was slowing down. * Reflects changes in interest rates over various time frames. Two of the nation’s top economists were busy chattering up a storm again this week and investors did not take too kindly to their views. U.S. Federal Reserve Chairman Ben S. Bernanke revealed that the credit crisis was nowhere near finished and said that the ongoing struggles of the U.S. housing industry would “probably be a drag on economic growth.” He also pointed out that the Fed stands prepared to “act as needed,” a welcome sign for those folks calling for further rate cuts. Treasury Secretary Henry Paulson echoed Dr. B’s opinions by acknowledging that the credit challenges are far worse than anticipated and that the housing sector continues to represent “the most significant current risk to our economy.” He also warned of the negative effects – or “moral hazard” – of any perceived Federal bailout. In other words, leave that dirty work to Citi, BofA, JPM, and others. With oil prices hovering around $90 a barrel, inflation is once again showing up on everyone’s radar screen. The September Consumer Price Index (CPI) increased by 0.3%, as rising food and energy costs led the way. So far this year, retail inflation has climbed at an annual rate of 3.6%, well ahead of the 2.5% pace for all of 2006. Still, the core number (excluding the volatile food and energy components) remains manageable. The Fed’s Beige Book depicted continued weakness in home construction and raised concerns that other sectors of the economy would soon be affected by the nightmarish housing slump. Financial odds-makers (also known as the futures markets) placed the chance of another rate cut at 50-50. The unemployment picture soured this week as initial claims for jobless benefits experienced their most substantial one-week increase in eight months.